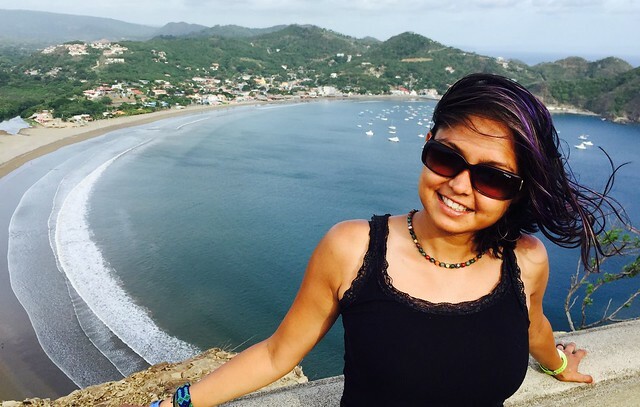 San Juan Del Sur – Not just a party town – Not Just a Long Holiday – Back in New York! 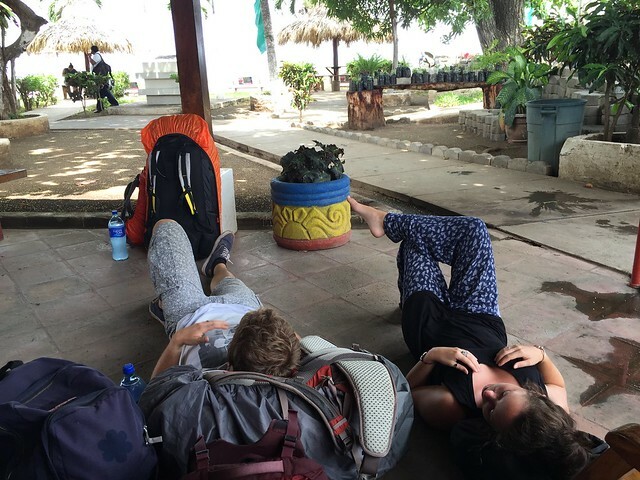 On our final morning on Ometepe Island, Ollie, Peter and Sophie were a little sick, all blaming the dinner place. Thankfully Amanda had managed to get us all a good taxi directly to the ferry station. But as is normal in Nicaragua, they decided not to bother with the morning ferry, leaving us waiting for 1.5 hours until the next one. Ollie and Sophie had one thing on their mind! 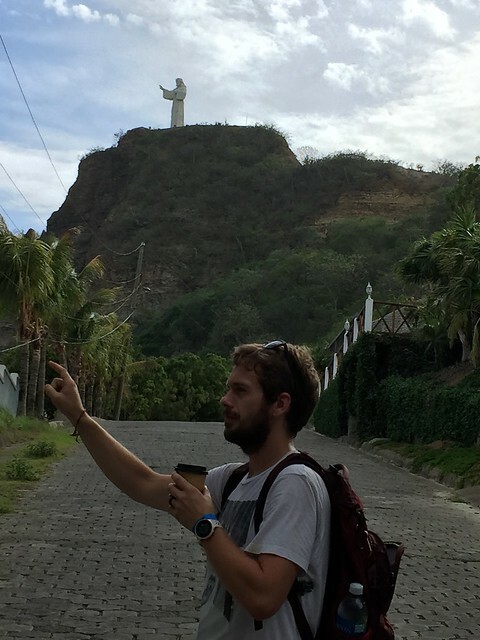 They had also tempted us into going to San Juan Del Sur (SJDS) which we were going to skip given its party and surfing reputation. Us being neither type! Our sick little family boarded the packed ferry and were happy to be on the mainland after a bit of a bumpy ride. Another taxi was sourced and dropped us outside a recommended hostel. We shared the room with Sophie as it was a little pricey but totally worth it, after our rustic 2 nights. 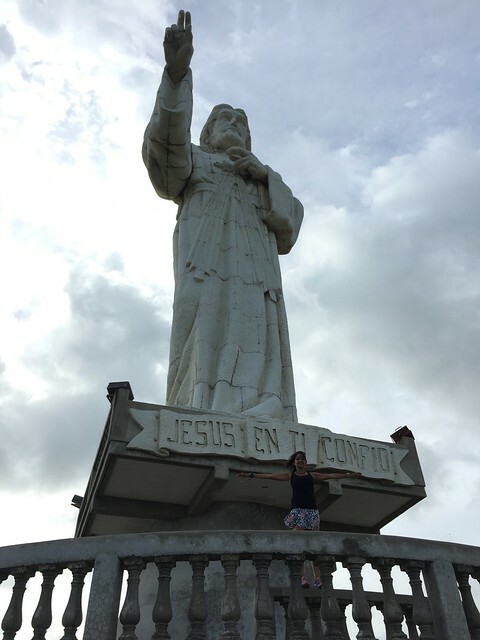 In SJDS, there is a big Jesus “Christ of Mercy” statue overlooking the beach which looked beautiful. Lunch was at some falafel curry and noodle bowl after which we made the steep, sunny and sweaty walk up the slope. It was a stunning statue with stunning views of the bay like beach below. Ollie’s beard was resembling the man himself in the statue more and more each day. We ‘paddled’ back, which apparently in Irish-English means walking in ankle high water. It was a romantic walk back watching a few people splashing in the waves. We walked around the town a bit and saw signs for pub crawls and surfers back from their day ready to party. It was a good vibe and we were longing for a nice cocktail. Forgetting our budget for a bit we got some yummy ones but went for cheap not-so-yummy tacos at some chain cafe. 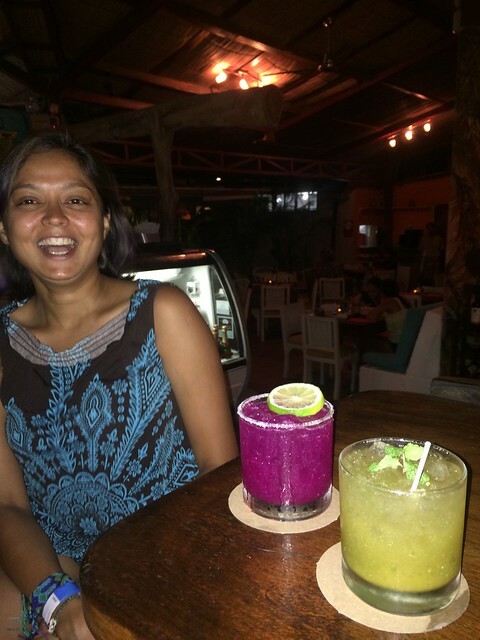 Neem, just realizing how much we’ve spent on these cocktails. The next afternoon was spent running on the beach, enjoying the sun, sand, and backlash of the waves from the very windy day. We tried food at the small local market which was shutting down and relaxed for the day, as you do at a beach town. We said our goodbyes to our friends over the breakfast pancakes. We’d spent a week with these guys now and were going to miss them. Maybe someday we will meet up with them again! 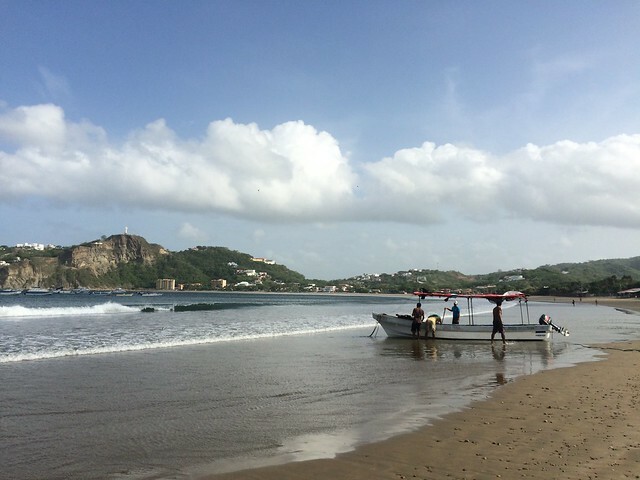 San Juan Del Sur is worth a stop for everyone. We’d heard horror stories of this place being overrun with drunken louts but we didn’t see it at all. 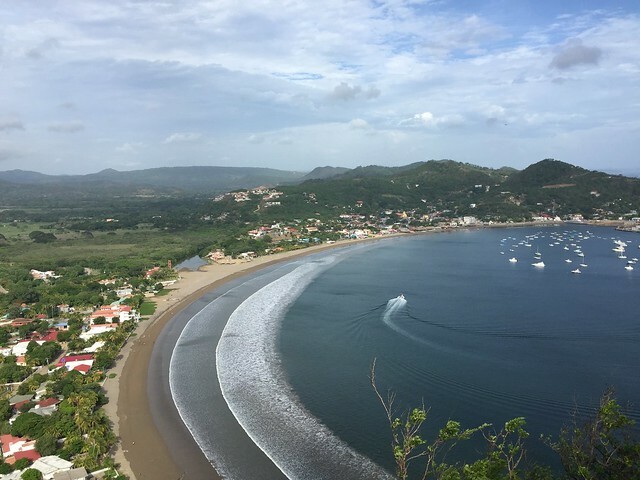 The beach was beautiful and it is a good stopping point before Costa Rica, especially if you’ve an extra few days to spare in Nicaragua. Our next step was to get on a bus to a volcanic crater lake. 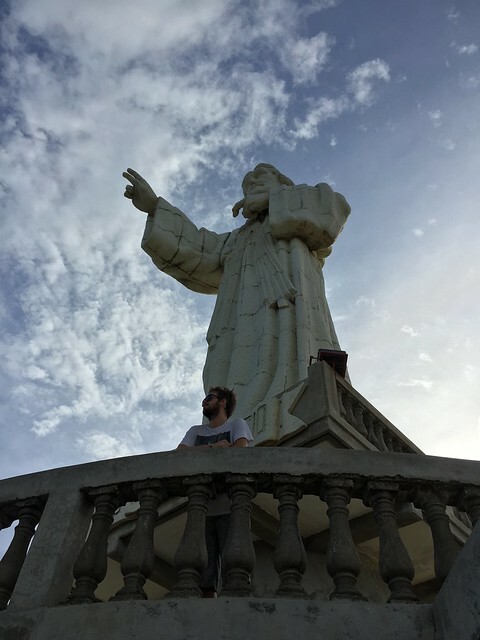 We got dropped off on the highway and bargained with a rickshaw (tuk tuk) driver to take us to our last stop in Central America, the heavenly Hostel Paradiso on the shores of the stunning lagoon that was Laguna de Apoyo!